Is your electrical panel outdated or not performing correctly? Are you continually resetting switches, fuses, or circuit breakers? Contact our trained electrical experts to assist in your electrical panel repairs, replacement, upgrade or installation. An electrical panel is one of the most important components of your home’s electricity supply system. By dividing electrical power feeds into subsidiary circuits and providing a protective fuse for domestic use, your electric panel becomes the heart of your home’s electrical system. Incorrect wiring or an outdated panel can weaken power to lights, overload your system, destroy appliances, and present a dangerously unsafe environment. So when considering electrical panel repair, replacement, installation or upgrade, contact our trained and certified professionals to help you. Here at Mister Sparky, we evaluate your system to see if you simply need maintenance or if your panel needs an upgrade. Not only do we guarantee the quality of our workmanship for the next three years, but our service team will also repair any problem that arises during that time free of charge. We do this because we know we can deliver the highest quality of work. Furthermore, when we replace your electrical panels in your home, we guarantee you a complete job on-time and within budget. Our electricians put their expertise to work to connect your home safely. 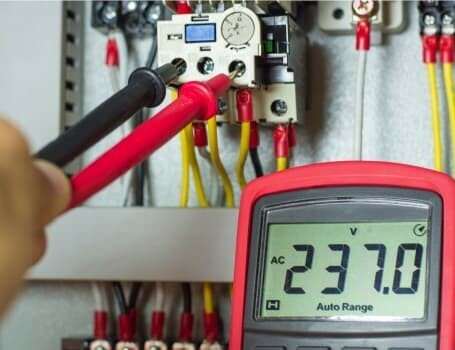 We ensure that your electrical panel repairs follow all local and state safety codes. 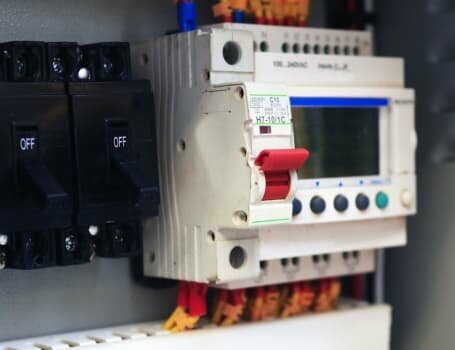 What is a Main Electrical Panel? Many homeowners are unfamiliar with the construction and wiring of their electrical system. The system consists of wires, circuits, and circuit breakers. Additionally, the outlets in your home connect to a vast array of electrical appliances. For a utility company to send you power, there must be a central location in your home designed to channel that energy. 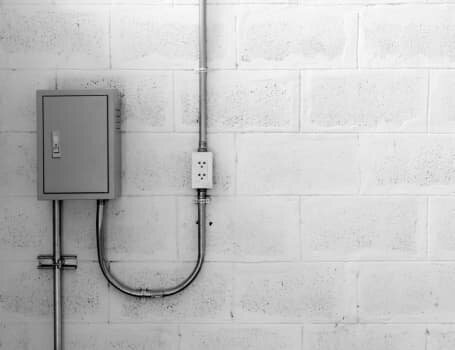 Similar to how a substation distributes power to central locations in your area, the main electrical panel routes power to where it is needed in your home. The panel (also known as distribution board, panelboard, or breaker panel) is usually located in the garage, utility room, or basement. It is responsible for distributing electricity through individual circuits that run through your house. In most homes, the electrical panel contains circuit breakers which look like little switches. In older homes, some panels may include fuses which also serve the same purpose as circuit breakers – stop the flow of electricity when there is a problem. The age of your home in addition to the different electrical appliances you use often determine how much energy runs through the main electrical panel. Older homes usually use 100-amp panels, while newer homes typically operate on 150 or 200-amp panels to ensure they can power various appliances and devices people have in their homes today. It is no wonder why older homes typically need an electrical panel upgrade to keep up with today’s power-hungry appliances and electronics. If you have a 100-amp panel, we recommend an electrical panel replacement in favor of one that has added capacity. Installing an electrical circuit breaker panel to the main service wires coming into your home is dangerous work. It is not a DIY project for homeowners, and it is highly recommended you hire a licensed expert. 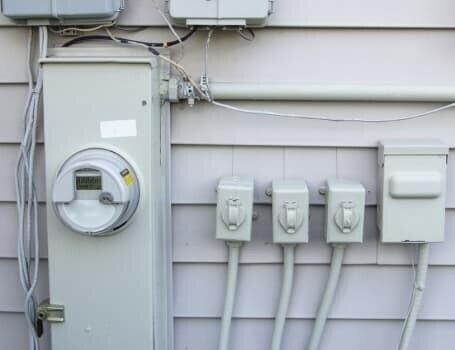 Our professional electricians coordinate with the electric utility company to connect electrical panels and individual branch circuits to the main service wires coming into the home to deliver a panel board installation that makes your home safer. Older homes often have a screw-in fuse panel, an obsolete panel, or a non-UL listing panel that was safe back when initially installed. However, given the advances in technology, most of these panels have been delisted by United Laboratories (UL). UL does safety audits on many electrical products to let electricians know if a panel is safe. Electrical panels give hints when they need replacement. The most prominent one is the regular need to reset the circuit breakers. It means the panel cannot handle the amount of power going through the circuits. By continually resetting the panel, one slowly damages the circuit breaker and possibly the panel itself. With over 51,000 electrical fires each year, problems with your primary electrical panel should not be ignored or taken lightly. Many of these fires start because people ignore their circuit breaker going off one too many times. As mentioned earlier, our experts at Mister Sparky evaluate your home’s system to see if you need maintenance, panel repair, or if your panel needs an upgrade. Fortunately, not all electrical panel problems need a complete replacement or installation. Often you can repair the problem and extend the life and efficiency of your electrical panel. 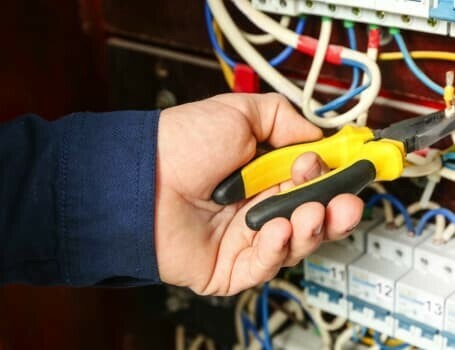 As licensed and insured electricians, Mister Sparky provides quality electrical panel repair work for your home or business. Our electricians follow the NEC guidebook to ensure they use best practices for any and every job. The NEC guidebook is one of the most regarded manuals within the electrical repair industry delivering safety and maintenance standards for both the electrician and the homeowner. How Can Our Professional Electricians Help With Your Electrical Panel Repairs, replacement, upgrade or installation?